Never mind rise and shine 😉 This blanket just screams cuddle up and stay in bed. 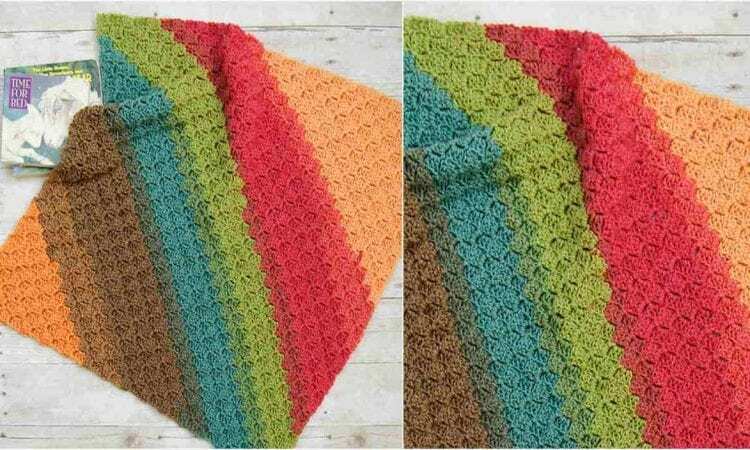 The playful colors and easy stitch will make this a favorite with crocheting moms and grandmas. A corner to corner stitch makes it looks beautiful and at the same time it works up fast, so it will be a good pattern for gifting. A finished blanket is a baby blanket size (24 inches x 24 inches), but it can be easily made bigger. A link to a free pattern is at the end of the post. Liked the pattern.nice texture. Colrs terrific.